Ajax Cape Town may be second last on the league table, but the point obtained in a 1-all draw with Chippa United at the Nelson Mandela Bay Stadium in Port Elizabeth on Sunday afternoon could be worth its weight in gold at the end of the season. Fresh from a mid-week 1-0 win over Bidvest Wits at home, the Urban Warriors, currently near the bottom of the league table, will take what points they can get, but the chance of a point or more looked bleak when Chippa went ahead in the 54th minute through Mxolisi Macuphu. The midfielder finished off from a pass by Thabo Rakhale following a corner kick. Chippa will be kicking themselves for letting three points slip away, and could well have lost the match in the final two minutes. First, Ajax substitute Samuel Julies (on for Tercious Malepe in the 73rd minute) had a header cleared off the line in the 90th minute. Then came the equaliser with Krahire Zakri taking advantage of a Chippa defensive error to tap the ball home, wide of goalkeeper Daniel Akpeyi. 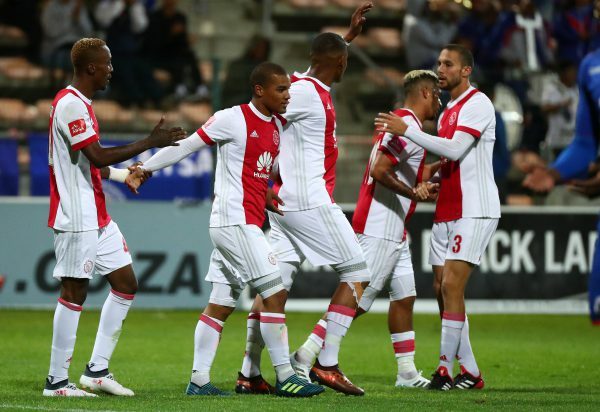 Ajax, now with 28 points from 27 games are a full six points ahead of bottom-placed Platinum Stars and just a point shy of Supersport United. The Capetonians will host Baroka in their next league fixture on April 24. Going into the match off the back of a 3-0 win over Kaizer Chiefs, Chippa, on 28 points from 27 matches, will travel to the Free State to face Bloemfontein Celtic. The match will be a humdinger with both teams on the same amount of points and number of games.